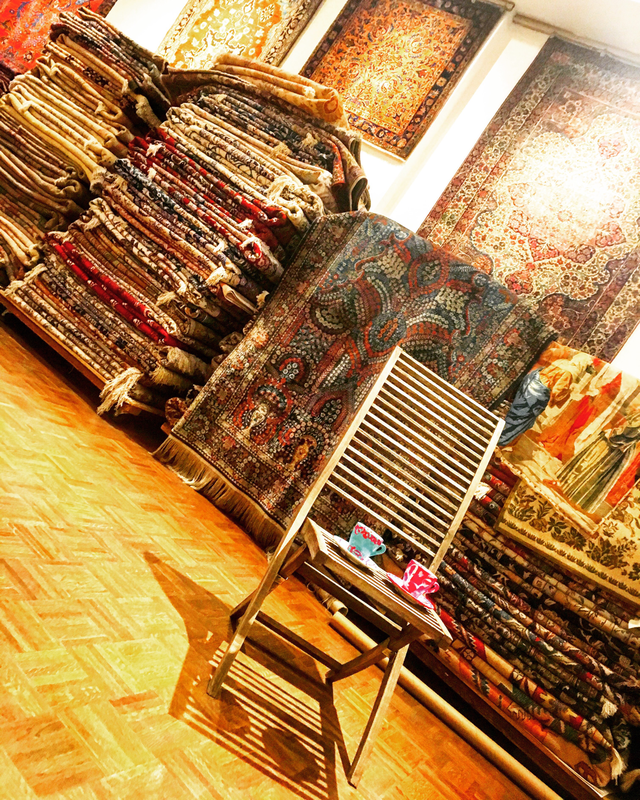 This is our "Haft Seen" Spread at the New York Gallery for this Norooz! 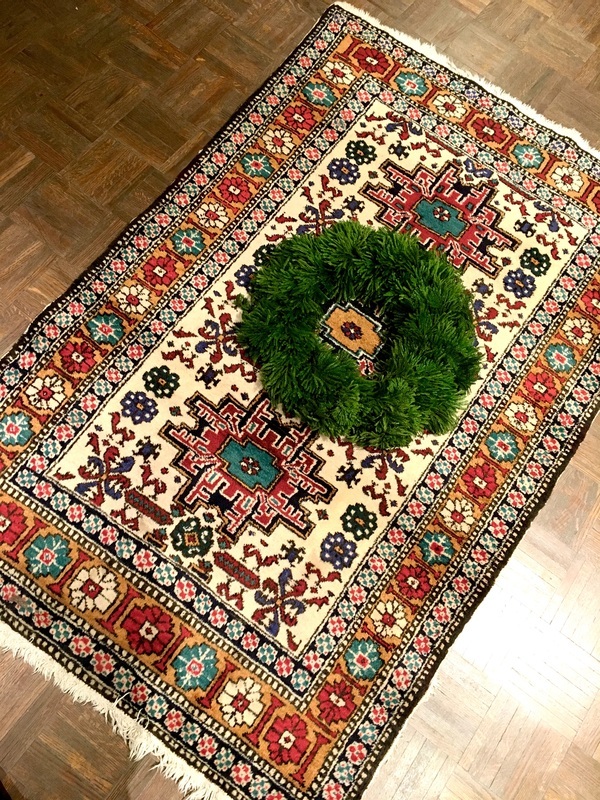 Happy Norooz! Happy Spring! 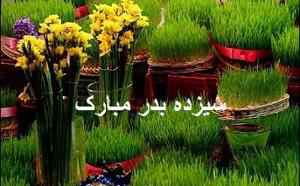 The Persian New Year, Norouz coincides with the Spring Equinox. I love this aspect of our culture because when the new year begins, it really feels like a beginning as the transition from winter into spring is seen in natures and felt in the air. 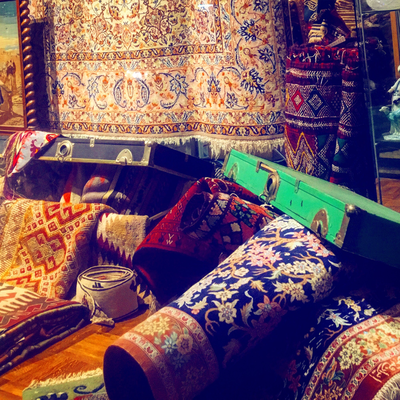 Norouz is very much so of a cultural celebration in Iran and has been celebrated for centuries. 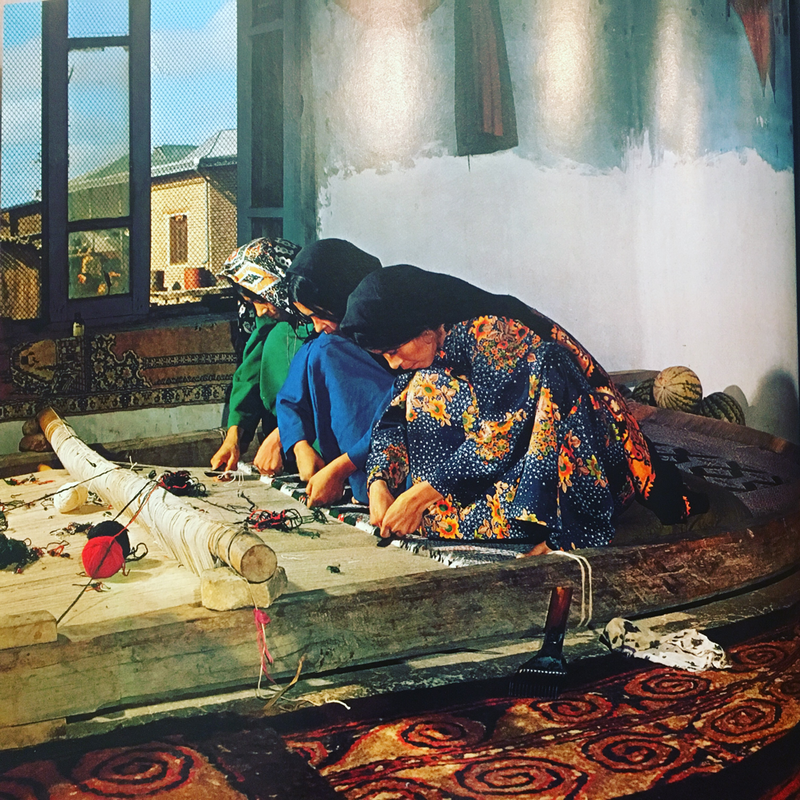 It is customary for families to gather around the Haft Seen at the moment of the Spring Equinox and celebrate the transition from winter into spring together. 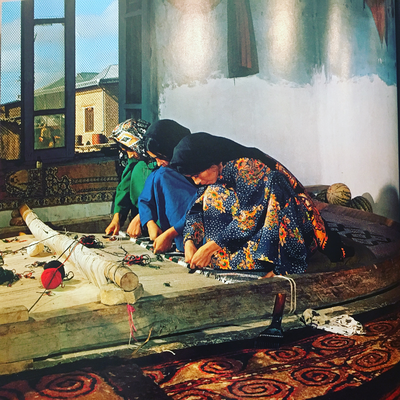 The elders present family members with Eidee, which is a small monetary presents for Norouz. 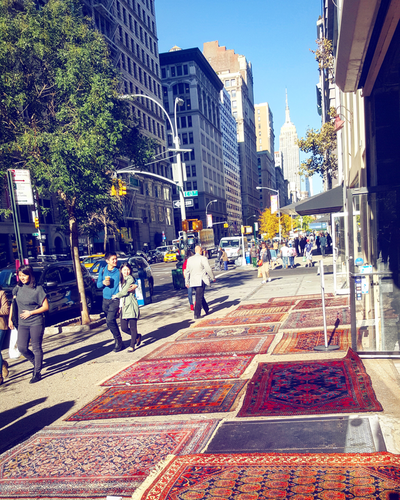 Have you set up your Haft Seen yet? 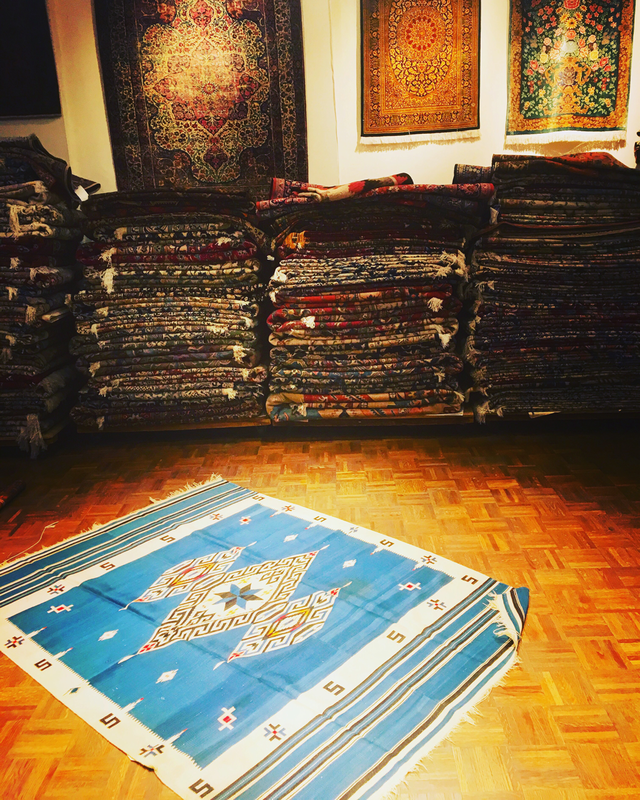 Sale No Mubarak! Happy Spring! Happy New Year! 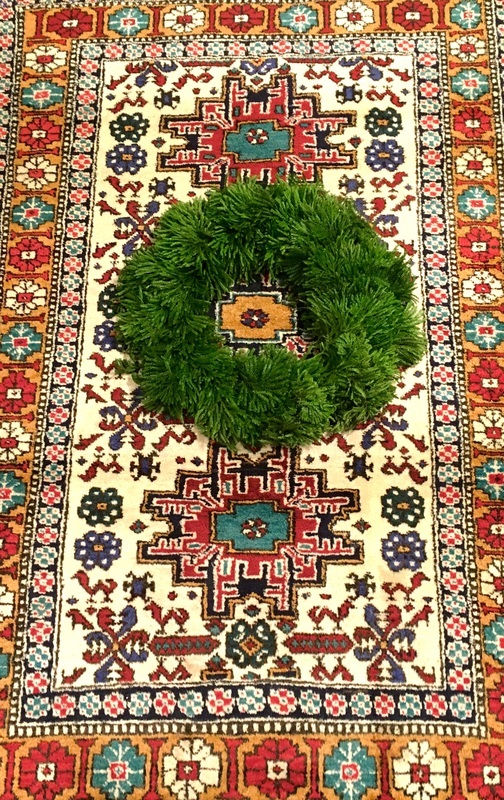 Happy Nowruz! 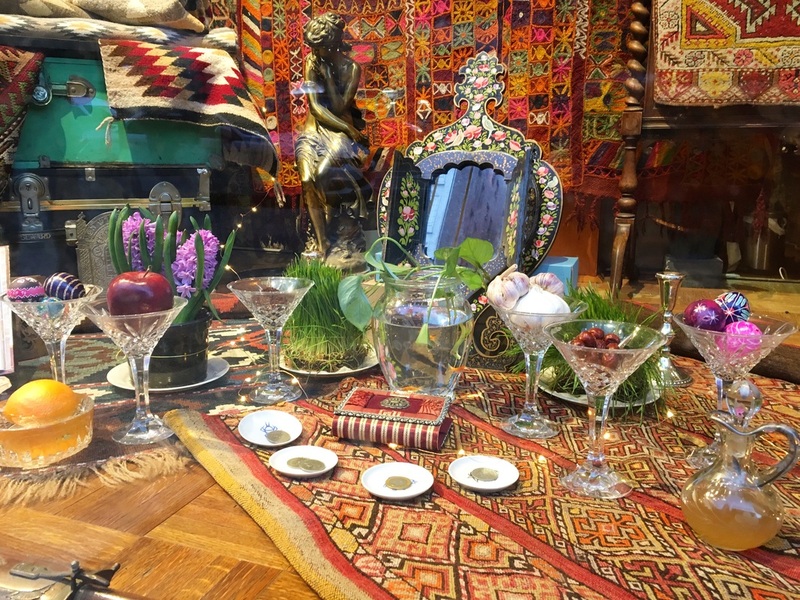 ​Nowruz is the traditional Persian festival of spring which starts at the exact moment of the vernal equinox, commencing the start of the spring. It is considered as the start of the New Year among Persians. 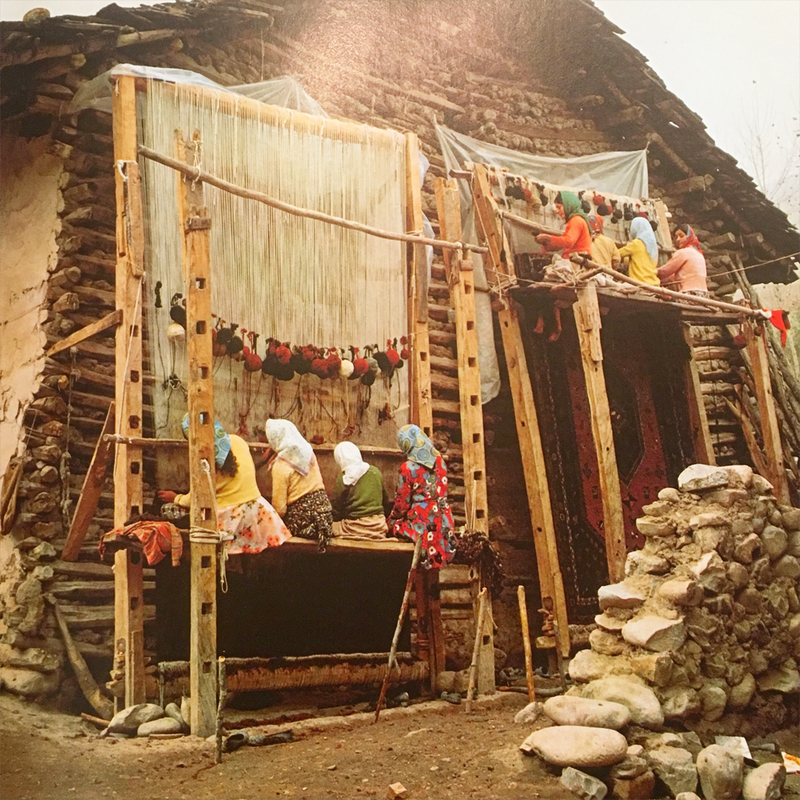 The name comes from Avestan meaning "new day/daylight". 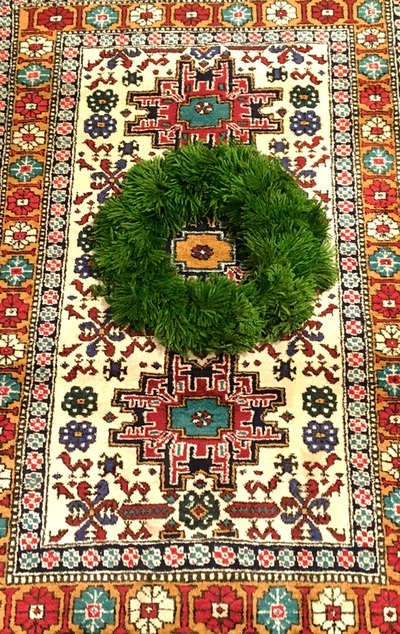 Nowruz is celebrated March 20/21 each year, at the time the sun enters Aries and Spring begins. 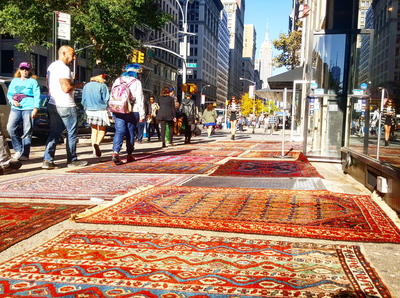 Some Noruz celebrants believe that whatever a person does on Noruz will affect the rest of the year. So, if a person is warm and kind to their relatives, friends and neighbors on Noruz, then the new year will be a good one. On the other hand, if there are fights and disagreements, the year will be a bad one. 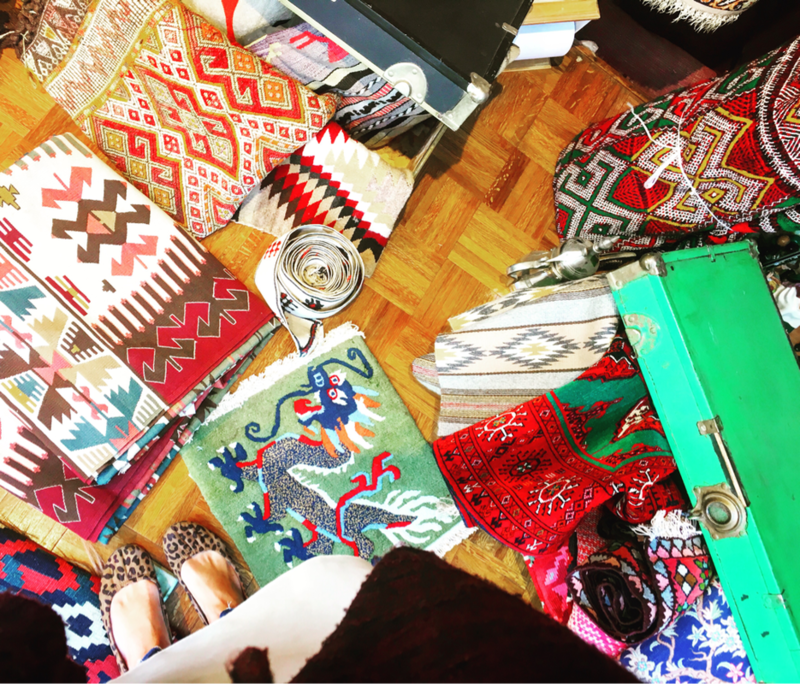 Also, many people do a significant amount of "Spring Cleaning" prior to Noruz to rid the house of last year's dirt and germs in preparation for a good new year. The thirteenth day of the New Year festival is called Sizdah Bedar (meaning "thirteen outdoors"). It often falls on or very close to April Fool's Day, as it is celebrated in some countries. 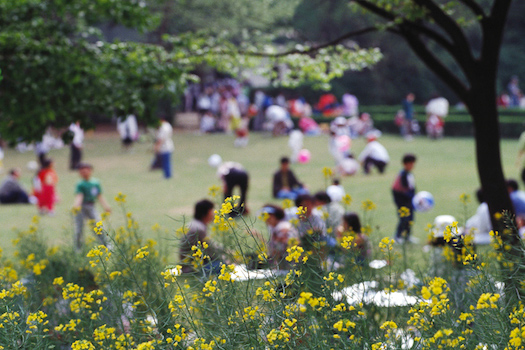 People go out in the nature in groups and spend all day outdoors in the nature in form of family picnics. It is a day of festivity in the nature, where children play and music and dancing is abundant. 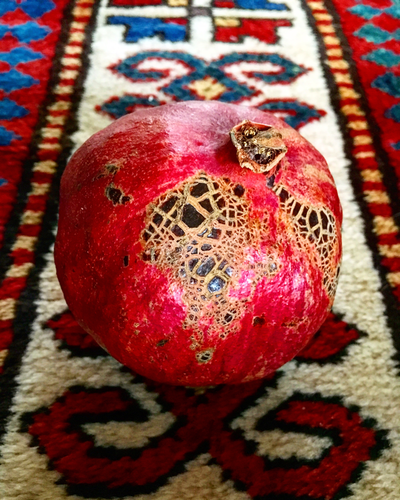 On this day, people throw their sabzeh away in the nature as a symbolic act of making the nature greener, and to dispose of the bad luck that the sprouts are said to have been collecting from the household. At the end of the celebrations on this day, the sabzeh grown for the Haft Seen spread (which has symbolically collected all the sickness and bad luck) is thrown away into running water to exorcise the demons (divs) and evil eyes from the house hold. 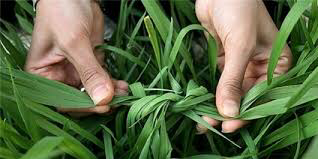 It is also customary for young single women to tie the leaves of the sabzeh, prior to discarding it, symbolizing their wish to be married before the next year's Seezdah Bedar. When tying the leaves, they whisper. 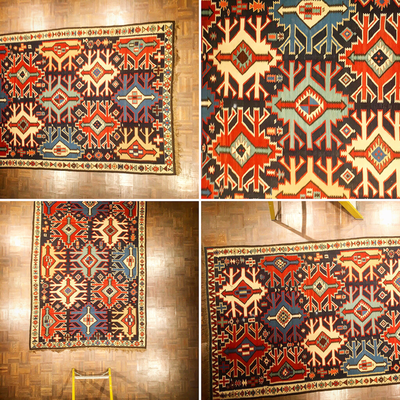 Pazyryk: The first surviving pile rugThe oldest known hand knotted rug which is nearly completely preserved, and can, therefore, be fully evaluated in every technical and design aspect is the “Pazyryk carpet”, dated to the 5th century BC. It was discovered in the late 1940s by the Russian archeologist Sergei Rudenko and his team. 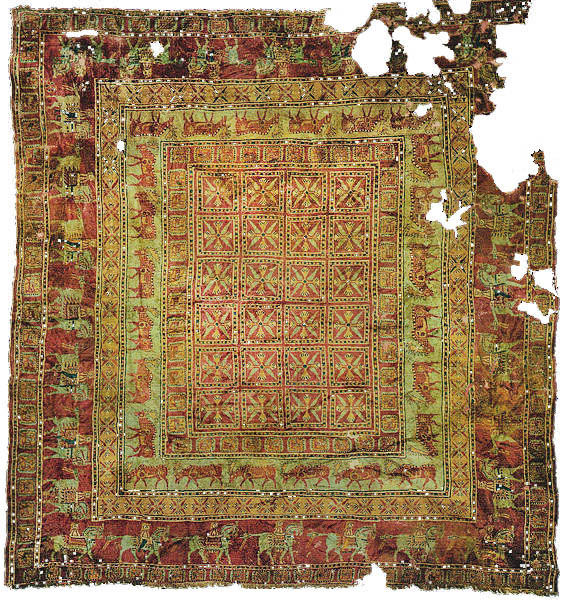 The carpet was part of the grave gifts preserved frozen in ice in the Scythian burial mounds of the Pazyrak area in the Altai Mountains of Siberia. 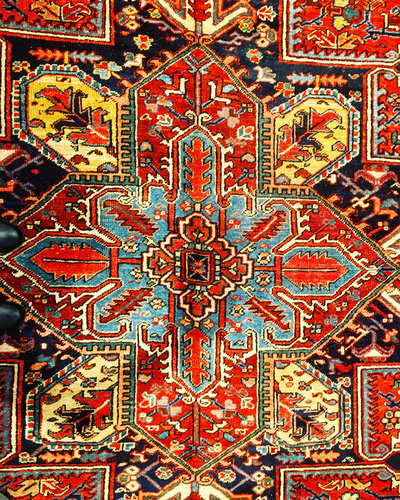 The provenience of the Pazyryk carpet is under debate, as many carpet weaving countries claim to be its country of origin. 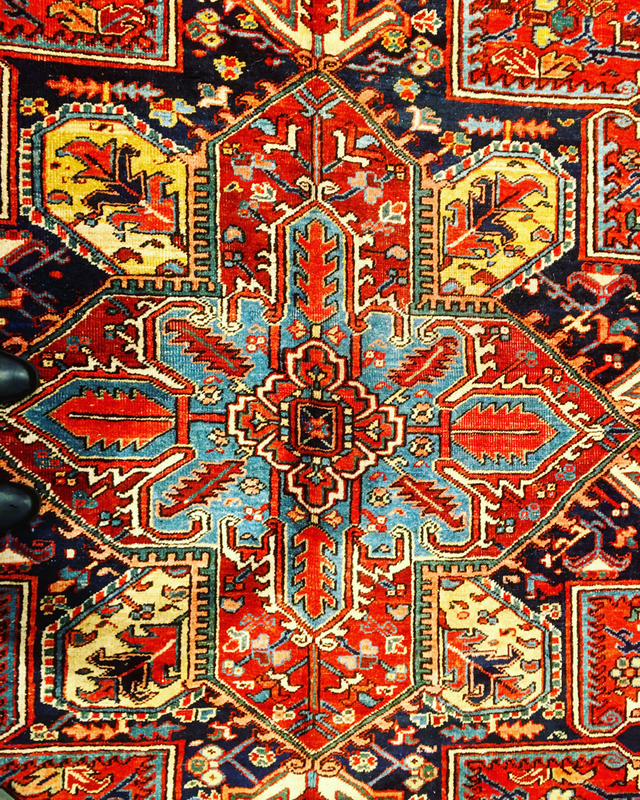 Wherever it was produced, its fine weaving in symmetric knots and elaborate pictorial design hint at an advanced state of the art of carpet weaving at the time of its production. 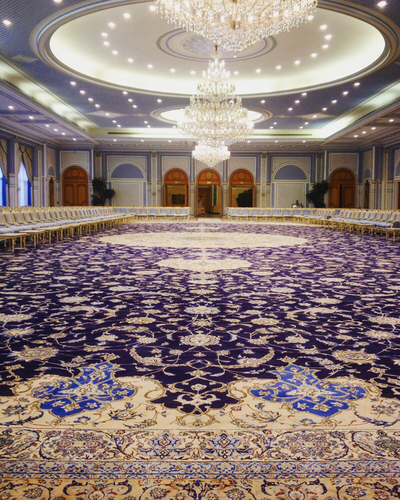 The design of the carpet already shows the basic arrangement of what was to become the standard oriental carpet design: A field with repeating patterns, framed by a main border in elaborate design, and several secondary borders. 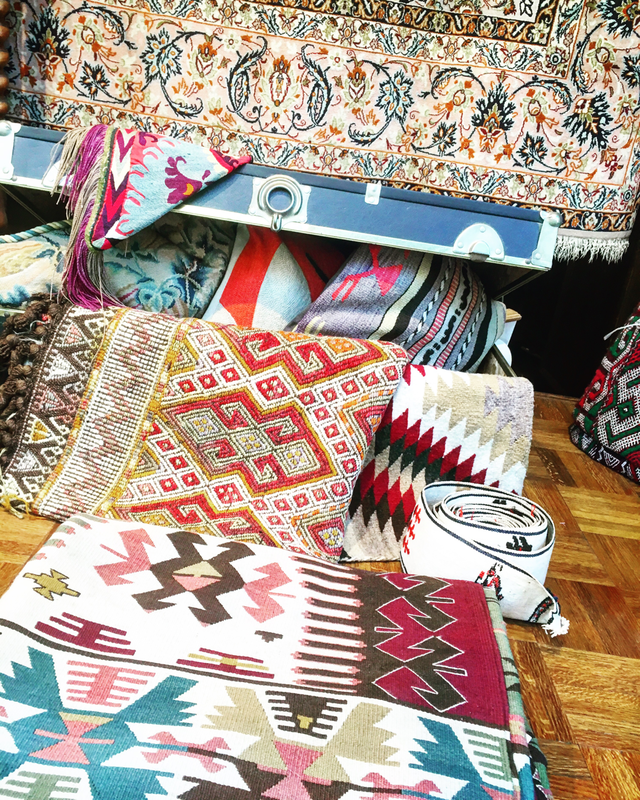 There’s an art to designing, but sometimes we forget that there’s also an incredible art in the making of handmade products, too. ​What I’ve always found fascinating about rugs was the amount of time, skill and dedication that each one takes to create. 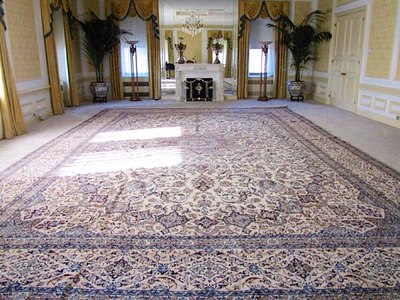 Rug making is meticulous work that can take anywhere from a few months to several years to make a given rug. The long hours, hard work and artistry that’s put into each work of art is remarkable. The talent of the people who make them. Coming from generations of rug-makers, the artisans put a lot more than just their time and energy into these textiles—each rug feels like a labor of love. ​The digital manipulation of images is something that has caused much soul searching in some sectors of the publishing industry, but until now, this is not a subject that has bothered our hallowed turf. 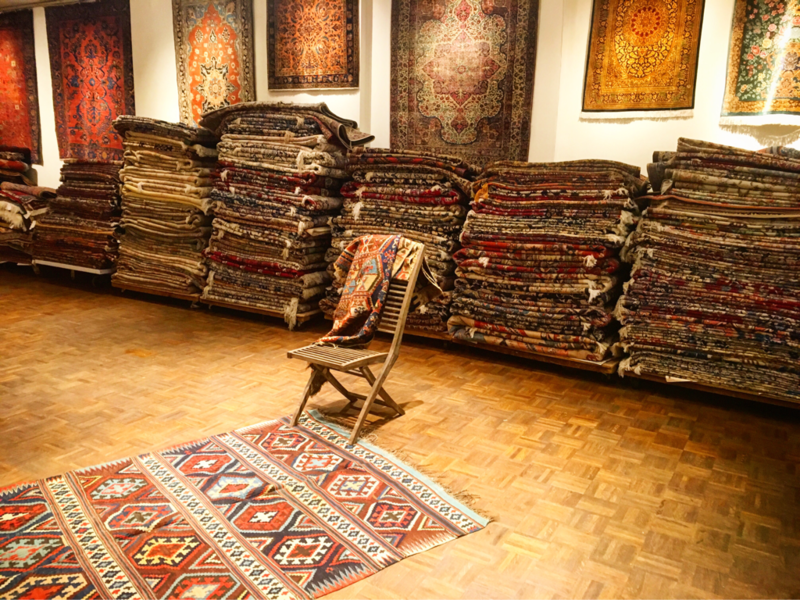 While celebrities and starts have been airbrushed with a twinkle and wrinkle of everlasting youth, rugs have stoically remained unadulterated stars of the past, unimpeachable celebrations of the beneficial effects of age and patina. 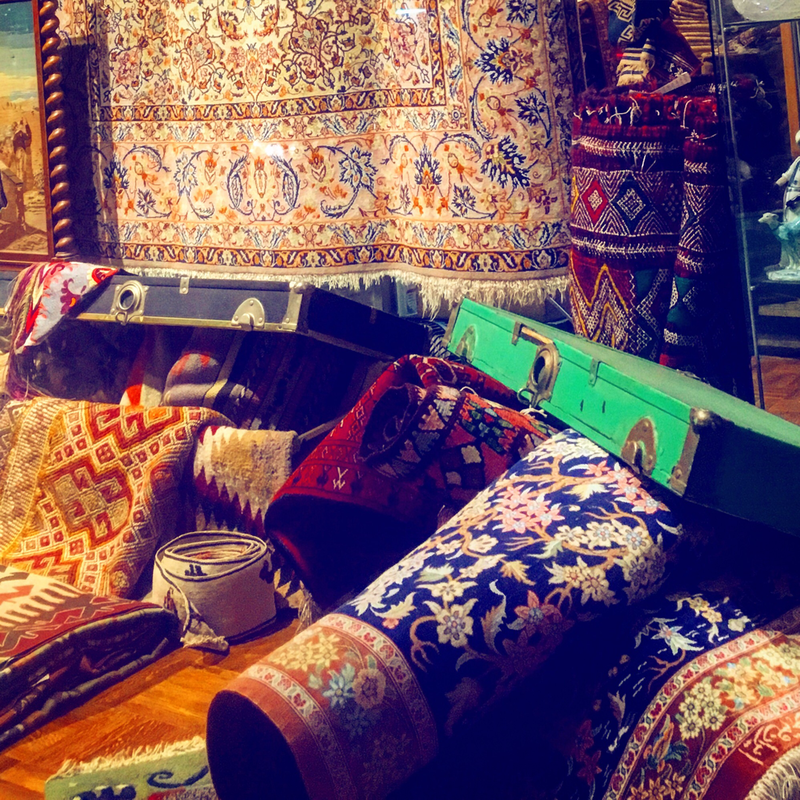 ​The handmade carpet continues its remarkable journey and is reaching a new angle of appreciation in terms of its design and increasing popularity. The clean lines and simple modern minimalistic interiors that most of us live in and work in are hungry for a touch of color, design and history. Once again we are realizing the potential of these works of art. Handmade rugs are points of distinction and motifs of personal taste within an interior. 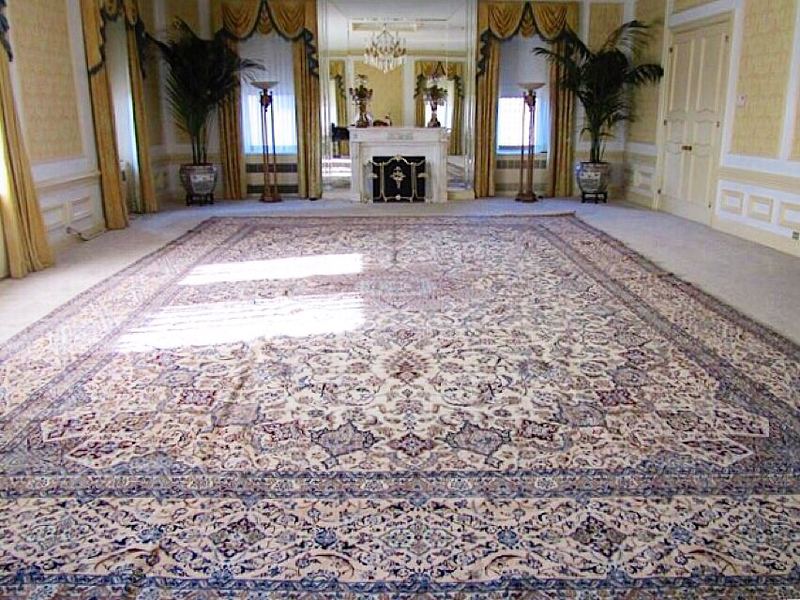 A rug’s ability to transform a room, to set a mood, to provide comfort and texture, and designate a function to a space make it an essential element to any interior. Follow us here, Instagram, Twitter, Facebook and Pinterest! We hope we inspire you! COPYRIGHT 2018 KERMANSHAH RUG GALLERY. ALL RIGHTS RESERVED.